Following our strict release schedule (…), here’s a new Yabause version. This new version includes so many new stuff, I cannot list them all. Just to let everyone know we’ve switched our setup to use Transifex, which should be easier to collaborate and ultimately cut down on our work. If you’d like to help out with translating please go to http://www.transifex.com/yabause/yabause/ and click on Help Translate “Yabause” and sign up for an account(it’s free). So apparently PayPal in their infinite wisdom has decided that Yabause is illegal and apparently infringing on Sega’s copyright, despite several court cases that prove that emulators are perfectly legal if done correctly. It should also be noted we have never received any legal threats or letters from Sega or anyone else since our first release back in 2003. They have limited our donation account and from my understanding the account will be closed after the funds are released in 180 days. We’re not too happy about this, but considering PayPal’s hard handed approach to dealing with anyone they deem in violation of their ToS there’s not much we can do. Anyone who’s donated in the last 60 days will have their donation refunded. So unfortunately we can’t accept monetary donations at this time. We still accept hardware donations or job offers. Please visit our team needs page for our list of needs. Just want to announce that development builds are now available on the download page! This should give you guys your latest version fix until we’re ready with the stable release. Just want to let everyone know we’re currently in the process migrating several things away all from Sourceforge. We’re well aware of the concern with the changes in Sourceforge’s business practices and we’re taking it seriously. The site itself, along with the source repository, forum and wiki shouldn’t be affected since we already moved that away from Sourceforge some time ago. However file release downloads, bug reports, and a few other odd things still need to be moved. Please be patient, we’ll be finished soon enough. 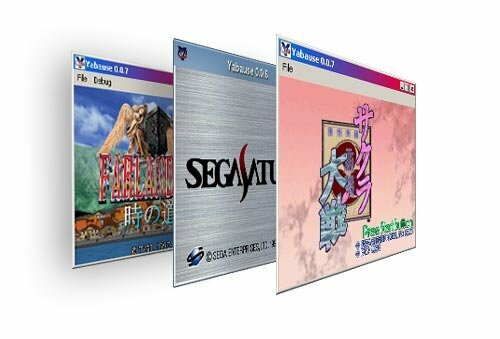 Yabause is a Sega Saturn emulator under GNU GPL. It currently runs on FreeBSD, GNU/Linux, Mac OS X, Windows and Dreamcast. You can now support our work by becoming a patron. This money will be used to cover costs incurred working on the project. Such costs include: Purchases of saturn-related hardware and games for testing and reverse-engineering; Purchases of supplies such as blank recordable cd’s; Any future costs incurred by the website. Copyright © 2002-2007 Yabause team. All rights reserved. The Yabause Team is not connected or affiliated with Sega® or any mentioned company in any way. Companies and all products pertaining to that company are trademarks of that company. Please contact that company for trademark and copyright information.